I am reminded of the cliché about marrying in haste and repenting at leisure. We have had decisions that were made rather hastily usually just based on figures and not considering the impact on lives. I am very glad about the repenting - the reversal on the proposed cuts to DEIS schools and today’s announcement that the people will be given the chance to vote in a referendum on the fiscal compact. The review group that analysed State assets did so purely from a financial perspective without considering the social or environmental costs, which need to be taken into account. Selling State assets seems to be part of the IMF solution to economic recovery which has been seen in other countries such as Argentina. Selling State assets means privatisation. We have had the debacle of the privatisation of waste services in Dublin recently whereby a very suspect auditing company got the decision to make. The contract was given to a company that had been prosecuted and found guilty of charges under the EPA and there was a very definite lack of accountability in the contract. The aim seems to be to raise €3 billion from the privatisation programme with €2 billion being used to pay down the debt and €1 billion to assist in boosting employment. However, if the debt burden is €119 billion, €2 billion will not make much difference and there could be a wiser investment for it. In some of our State companies there is a culture of obscene salaries with dreadful expense accounts and allowances. Changing that is one aspect of privatisation I would welcome. At times State companies have been guilty of poor service with high prices. Even though these companies are being presented as being self-financing, they have been heavily developed through public funding, not with a view to selling them off to the highest bidder - an invisible bondholder, some offshore tax-evading tycoon or a foreign oligarch. There are examples in Portugal at the moment. While I know the Chinese are our best friends, there are issues with their investments in some developing countries. The State assets need to be considered on more than their market and economic values. There are strategic elements attached to Bord Gáis Éireann and the ESB that are vital to our energy security, particularly in the development of alternative energy sources such as wind power. I share the Woodland League’s concerns concerning our forests - the access, the carbon value of the trees and the possibilities for a national works programme. I hope selling off our shareholding in Aer Lingus will not prove to be short-sighted. If the privatised companies fail, who will bail them out? Will they come back to the Government again? Festina lente. Maureen O'Sullivan asked the Minister for Education and Skills if he has recovered the funding, some €5 to €6 million, given by the last Government to set up the Teaching Council; if his attention has been drawn to the anger among teachers of having to pay this fee and their criticisms of this organisation which is collecting approximately €5 million annually from teachers and in view of plans in England to disband their Teaching Council; and if he will make a statement on the matter. Deputy Ruairí Quinn: It is essential there is in place a robust system of regulation for the teaching profession. The Teaching Council’s role is key to ensuring the development and implementation of standards for teachers’ conduct and performance, which complements the work of initial and continuing teacher training. Much progress has been made by the council, as reports placed before the House illustrate. The annual registration fee of €90 is significantly lower than registration fees charged by many other professional regulatory bodies. Moreover, tax relief may be sought from the Revenue Commissioners with regard to the fee. The funding advanced to the council prior to 2008 was to enable it to establish and run its operations and there are no plans to recoup this funding. When the remaining sections of the legislation are commenced, the council’s income will be more fully utilised. In view of the importance of having a strong regulator for the teaching profession, I do not have any intention of disbanding the Teaching Council. 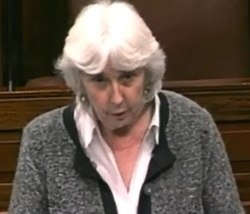 Deputy Maureen O’Sullivan: I cannot believe it, given what the Minister’s counterpart in England is doing and the latter’s description of the General Teaching Council for England as a quango that must be scrapped. I will make a single point to the Minister, which is that the Teaching Council’s biggest activity last year appears to have been to seek a 20% increase in salary for its retiring director to increase her lump sum and pension. At the same time, however, a teacher who only teaches for two hours each week must pay €90 and young people emerging from the training colleges and universities are unable to get an interview without paying €90 but have no guarantee of getting a job. I have yet to meet a teacher who thinks this constitutes good use of his or her €90. Deputy Ruairí Quinn: The Education (Amendment) Bill 2012 has passed through the other House and if memory serves me correctly, it will be introduced to this House next week at which time Members will have an opportunity to discuss this issue. I share the Deputy’s concerns because many professional bodies, including my own, namely, the Royal Institute of the Architects of Ireland, have different rates of contribution for those who are unemployed, work part-time or are retired. However, the commencement of section 30, which is what the aforementioned Bill will do, will enable the Teaching Council to act as a professional body in a way that it has not been able to do previously. I certainly do not regard the Teaching Council as a quango and the Secretary of State for Education in the United Kingdom was wrong in abolishing its equivalent. Deputy Maureen O’Sullivan: Obviously, I am disappointed by the Minister’s response. Teachers are in favour of being regulated and have no problem in this regard but this Teaching Council certainly has not shown itself to be professional in the few years since its establishment. Moreover, it is taking in approximately €5 million per year and the Minister could seek to recoup the initial advance of €5 million, which could go into a great many other services that are vitally needed in education. Deputy Ruairí Quinn: If the Teaching Council wishes to give back €5 million, I would take it in the morning. Deputy Maureen O’Sullivan: The Minister should demand it. Deputy Ruairí Quinn: A new Teaching Council is to be established in the near future, by the end of March if memory serves, and as the Deputy is aware, the teaching unions and representatives have a say in the council’s composition. If there is dissatisfaction with the manner in which the council has performed to date, the remedy is in the hands of those teachers who choose to exercise their vote or persuade their national executives to renew the composition of the council. Deputy Maureen O’Sullivan: I do not come from a legal background, but certain aspects of the Bill are extremely controversial. In the Programme for National Recovery the Government set out to reform the legal services market, establish independent regulation of the legal profession, improve access and competition, make legal costs more transparent and ensure adequate procedures for addressing consumer complaints and all of these are laudable. Like other Deputies, I have been contacted by members of the legal profession with their concerns. They feel many provisions of the Bill in its current form would be detrimental to the judicial system not only for those working in it but for those who avail of it before the courts. I am not sure so I come to this wondering how I will end up thinking about it in the long run. The Bill proposes a regulatory model which is far more expensive than necessary. The Law Society points out that at a time of economic distress and when in excess of 1,000 solicitors are unemployed, the cost will inevitably be passed on to the client. It states that it will be deeply ironic if a legislative measure designed to reduce costs to the consumer actually increases them. Criticism has also been made of the unacceptable level of control the Government would have. I know the Minister disagrees with this, but it is stated that Ireland would be unique in Europe. The proposed regulatory authority would be Government controlled, with Government control over entry, training and discipline, and there is a perception the authority would be subservient to the Government. There are also concerns that this measure is not democratic and will not contribute to democracy, and that there will be a negative impact on the rule of law in Ireland and the independence of the legal profession. Opinions on the Bill vary from one extreme to the other. Dr. Mark Ellis has stated it is one of the most extensive and far-reaching attempts by a Government to control the legal profession, and that the Law Society and the Bar Council will find themselves no longer truly independent. In the article I read he examined international similarities with what has been proposed and referred to countries such as China, Iran, Gambia and Vietnam. All four countries appear to have a similar mechanism to the one proposed in the Bill. Essentially, their governments control the legal profession. He also comments on the unilateral and arbitrary exclusive discretionary authority the Minister for Justice and Equality has identified for himself and himself alone, and on the fact that the Minister’s approval and consent would be needed for every aspect of the governance provided in the Bill. Lawyers will tell us the Competition Authority’s report failed to unearth any anti-competitive practices, so they claim the Bill and the model proposed in it is fundamentally different from that in the report. The Law Society states that the Bill constitutes a significant threat to its independence as the ultimate decision maker. Does it go against the core principles of the European legal profession and international norms? I read what former Chief Justice, Mr. Ronan Keane, had to say. He welcomed many aspects of the Bill but expressed misgivings. He accepted the need for regulation but stated that it should not take a form that would damage the profession and be damaging to the interests of those availing of legal services. He also raised the question of how truly independent the authority will be in carrying out its work. The Bar Council claims consultation with it was very limited with no meaningful discussion with the Minister. The Minister says otherwise. Where do the requirements of the troika come in? Is it being used inappropriately as a big stick? Reading through all of this makes it difficult to establish the truth. Other speakers mentioned perception and how lawyers and the legal profession are viewed in the country. Generally they are not held in high esteem. This is due to the obscene salaries a certain number of them receive from tribunals of inquiry. They also seem to speak a language different to that which we speak. Exorbitant rates are charged and cases are delayed which means more money. There is an aspect of looking at the profession almost as a necessary evil. The roles of solicitors and barristers cause confusion. Having worked as a guidance counsellor I know how daunting it was for students working their way through the various entry processes, dealing with the changes that occurred over the years and the length of time before qualification. There is also the otherworldly air conveyed by the legal profession. Its members are seen as the high rollers of society. Unlike other professions only certain sections of society come in touch with them, whereas everybody will come in touch with a teacher. I am not maligning them; I am examining how they are viewed by many people in Ireland. We know there are people who have not been best served by the law or the legal profession. I commend the work of the criminal legal aid scheme. These lawyers must be distinguished from those advising the Government or working for the likes of NAMA at very excessive salaries. I have been told the high fees attributed to individual legal aid solicitors are actually those earned by an entire firm and not an individual. The legal aid scheme is suffering and has experienced cuts of more than 30% over the past two years. There is a real danger, as has been expressed by people in the legal profession, that as with health a two tier system may evolve for those who can afford to pay and properly finance their defence and representation and those dependent on a shoestring legal aid budget. There has been a considerable increase in the demand for legal aid services due to the economic downturn. There is a greater need for them and there will be longer waiting times with additional costs. I commend New Beginning for the work it does and has offered to do for those in mortgage distress. I have spoken to people at the lower end of the profession. They exist on a pittance and find it very difficult to continue with their training. These young trainees wait for hours hoping work will come their way and they certainly are not making vast sums of money. I hope their role and issues can be addressed. I tabled a priority question on the community courts and I remember the answer given by the Minister. I still find it hard to get my head around the fact that funding will not be diverted towards a system of community courts which has been found to work and prevent the revolving door for certain sections of society and certain crimes. However funding still goes to a system which does not produce results and does not keep people out of courts and jail. Green Street Courthouse is sitting idle. I know the Minister agrees with the idea of restorative justice and he has spoken about it. Community service is in place and this is the last piece of the puzzle. I am not calling for extra funding but rather a diversion of funding from what does not work to a system that has been shown to work in other places. To return to the independence issue, the legal profession accepts that it must be independently regulated. This means regulated independently of the profession and of the Government. Looking at it from the outside, it appears that what is being proposed is not strictly independent. It was described as one of the Minister’s creatures; I do not know. The Government will be solely responsible for the appointment of the majority of the 11 members of the authority, at least seven, with no specific qualifications required for these seven. The Bar Council will nominate four which the Minister has discretion to accept. Deputy Alan Shatter: The Deputy is wrong on both issues. Deputy Maureen O’Sullivan: I am glad to hear this and I thank the Minister for clarifying it. It is central to many issues about which people are concerned. The Minister will have an officer at the meetings. There is no doubt the new system concentrates much control and power in the Minister. I acknowledge what he stated about the Government appointment of judges not undermining their independence. He also stresses that the Bill clearly prescribes that the regulatory body must act as an independent authority. However, here we have had much experience of Government appointees to various bodies and the way this has been abused. We have had people with multiple appointments with the accompanying multiple allowances and expenses. I fear - I hope I am completely wrong - that this could be a lucrative number for Government appointees. I do not want to take from some of the very excellent appointments that have been made, for example Senator Martin Mansergh with regard to the Justice for Magdalenes case. The Minister stated the Bar Council and the Law Society have been rather silent on the benefits and opportunities which the Bill would extend to their members and instead have spent their time persuading barristers and solicitors to oppose it to maintain this privilege of self-regulation. In his speech the Minister stated he has been contacted by others who have many positive things to say about the Bill. I am very much in favour of oversight of solicitors and barristers. I am in favour of an independent complaints system, but it should be independent of the profession and the Government of the day; it should be truly independent regulation. Above all there should be a properly regulated scheme of fees that is fair and transparent. There should also be transparency in how fees are agreed. There are positive aspects to the legal costs regime. These include the new office of the legal costs adjudicator, the way increases in costs will be relayed to the client, time given to the client to consider this, the way the bill of costs is provided, the explanation to the client of the procedures and the provision for a written agreement between the client and the legal practitioner on the amount and the manner of payment. The Law Society and the Bar fear they are losing power but that might not be a bad thing. There is a further aspect in need of reform, namely, the inordinate delay in cases coming to court, with cases stretching on for years. Again, there is a perception of time wasting. So much time can be spent in court yet parties can then come to a agreement which might have been avoided in the first place. Deputy Ó Ríordáin mentioned the pin-stripes and the track suits. He worked in the area I represent so I am very much aware of that. Some young people seem to know the law inside out in ways they should not. One would prefer to see them using that knowledge in a more positive way. There remain questions on the independent aspect and I hope they will be addressed. There are positive points in the Bill and there is no doubt our legal profession must come into the 21st century. Maureen took a priority question on behalf of Stephen Donnelly TD on International Debt Relief. Minister of State at the Department of Foreign Affairs and Trade (Deputy Joe Costello): Ireland is recognised internationally for its contribution to the fight against global poverty and hunger and leading role in making international aid more effective. The State has played a strong role in the development of a consensus on the issue of debt cancellation for the least developed countries. All of our aid is provided in the form of grants, not loans. We have contributed our full financial share of more than €116 million to the two main multilateral initiatives to address debt relief. We have also worked with partners in our programme countries to ensure the additional money in debt relief is spent on programmes that benefit the poor. The Government’s debt policy strategy was prepared jointly by the Department of Foreign Affairs and Trade and the Department of Finance and launched in 2002. It supports the total cancellation of the debts of the world’s poorest countries. The policy has not changed. In our ongoing review of policy we are surveying the changes in the global situation and the impact to date of debt relief efforts. This work will feed into the current review of the White Paper which I hope to conclude by the autumn. Debt relief for developing countries and loans from the international financial institutions are often conditional on the implementation of certain macro-economic and development policies. We take the view that all development interventions, including those of the international financial institutions, should be framed explicitly in the context of country ownership, poverty reduction and the achievement of the millennium development goals. I welcome the ongoing process of reform within the World Bank and the IMF to ensure they can adequately meet the development challenges of a changing world. Ireland has supported the governance reforms of the past two years and the shifts in quotas and voting power in favour of developing and transition countries which have served to increase the legitimacy and democratic representation of the international financial institutions. Deputy Maureen O’Sullivan: I thank the Ceann Comhairle’s office for allowing me to take this question in place of Deputy Stephen Donnelly. I attended the conference held in Dublin Castle last Friday. Ireland’s reputation is second to none, but we could do more. The international financial institutions continue to lend money to countries which they know cannot repay it, knowing such borrowings will push these countries further into poverty. They are knowingly lending to oppressive regimes. The President of the Democratic Republic of Congo built up a debt of US$12.9 billion. Also, the conditions attached to such loans are affecting industry. There has been privatisation and decimation of local industry in a number of the countries in the global south. There continues to be a lack of democratic representation from southern countries at the IMF,as well as a lack of democracy in the leadership selection process at the World Bank. Can Ireland do something to address these two matters? Deputy Joe Costello: Ireland favours debt cancellation which has been our position since 2002. As stated, the situation is being reviewed jointly by the Departments of Finance and Foreign Affairs and Trade. The Deputy may be aware that a review of the 2006 White Paper is also under way, which review will feed into the consultation process. We would welcome an input from Members of this House into the review of the White Paper which will inform our policy for a number of years. On the wider question of what has been happening throughout the world, there has been considerable development in dealing with the issues of debt relief and debt cancellation. A heavily indebted poor countries initiative, HIPCI, was launched in 1996 which was followed by the multilateral debt relief initiative, MDRI, in 2005. Some 38 countries have benefited from these initiatives. As part of the MDRI €33.8 billion has been provided, while €76 billion has been provided as part of the HIPCI, amounting to a total more than €110 billion in debt relief. Three countries recently became eligible for debt relief and four others will shortly become eligible. The process, therefore, is ongoing. Deputy Maureen O’Sullivan: In the meantime more could be done to ease the conditions attached in order that local industries on which people depend will not be decimated. I am sure the Minister of State will agree that human rights must be at the core of all of this work. Deputy Joe Costello: We do not believe there are any conditions attached. Irish Aid has never been tied. We have always argued this point internationally. Deputy Joe Costello: I am sorry. Deputy Maureen O’Sullivan: -----rather I was speaking about the conditions of the World Bank and the IMF, in respect of which Ireland could have a role to play. Deputy Joe Costello: Yes, we do have a role to play in that regard. Reform of the quota system and the manner in which voting takes place at the IMF is under way. The likelihood is that this will result in the Irish voting position, dating back to the old quota system, being considerably improved. A new voting system is being introduced and it is likely that it will provide Ireland with a much stronger role. Likewise, the emerging countries will have a much stronger role under future systems. We will be pursing this matter. __Losing one’s job is probably one of the most devastating things that can happen to somebody. It is a life defining and life changing moment because of all the feelings that come with it. Graduates are affected but I am concerned about 40 and 50 year olds who find themselves unemployed for the first time in their lives. They can feel worthless because of not being able to contribute to the household. There are endless days with no focus to them. When we had a Private Members’ motion on mental health we found there were direct links between recession and the economic downturn, which have serious effects on people’s mental health. I hate using the term “suicide” in a threatening way but I have no doubt some of the reasons for the increase in the numbers of people taking their lives very tragically in this country has been because of the economic downturn. One would hope that with every Government Department and over 35 agencies and offices involved with actions to support job creation and job retention we will see radical change. The monitoring group is positive. There will be quarterly reports on the work and the action delivered. The plan will be continually measured and, it is to be hoped, delivered on. All the paper plans are worthless unless they can deliver. I hope there is also an action plan if they are not. There is a lot in the plan about encouraging foreign direct investment. We have a lot going for us as a country. We have a well educated English-speaking workforce. Particular skills might be missing but our young people are imaginative, creative, innovative and inventive. We see this all the time in craft fairs, markets and at the Young Scientist & Technology Exhibition. We have a mild climate and are not subject to natural disasters like other countries. Foreign direct investment has generally been beneficial for communities but also for investors. There are ambitious plans in this regard. I note one deals with education services. There was a presentation to the Joint Committee on Foreign Affairs and Trade in which authorities said having foreign students in this country is a very lucrative area. I am sure economists can give me the arguments in favour of incentives. I find one section quite bizarre, namely section 14 on the special assignee relief programme. There will be tax breaks for people coming into the country. Some 30% of salary will be exempt from tax for up to five years and there are provisions for holiday homes in the countries of origin. One aspect which really affected me is the financing of children’s education. It seemed to give a thumbs up for fee paying schools in this country. What is wrong with non-fee paying schools? Much money is given to fee paying schools to the detriment of other aspects of education. On indigenous start-ups, as others have said we need banks to start to release funding and take on board the sound business plans available. They can be criticised but the banks must have an open policy with the money they have been given. We also have to be more proactive on job retention. I know of small businesses which are in trouble. A small injection of funding would have kept them going. I met a man who runs a small business some months ago. He employed 20 to 30 people and dealt in construction but a major developer went into NAMA or to sunnier climates to make more profits. He was left high and dry and had to let people go. There are great opportunities in tourism, particularly in terms of culture and sport. Many commemorative events are coming up. I refer to community employment schemes. They have provided fantastic services to many communities, in terms of child care, home school, care for the elderly and care for the disabled. They were done at a fraction of what it would have cost the State to provide those services. I chaired a meeting last night of Debt and Development Coalition Ireland that looked at development aid. Given our finances are dictated by the World Bank and IMF, the discussion was on the countries of the global south, in Africa, Asia and Latin America, which have been receiving these loans, as we are now. The loans were given to those countries in the knowledge that those countries could not repay them and that they would drive them into further poverty. The loans were given in the interests of the creditors and political and business economic elites in those countries and the policy conditions attached have devastated the recipient countries, with local industries such as cotton being decimated following the opening up of the markets. I hope we are not going down that road but if history teaches us anything it is that we do not learn from history. The facts are there, however, to show what the IMF and World Bank have done to these countries and we are now borrowing from them and I hope we do not end up in the same situation. — finds it to be of grave concern that the lack of prioritisation of rehabilitation services for stroke survivors to date has created, and continues to create, an unnecessary barrier to the achievement of better outcomes for as many of those affected by stroke as possible, thereby limiting the life opportunities of many of those affected; and . . .
— proactively, creatively and realistically address the causes and implications of this silent killer. I acknowledge the work of the Irish Heart Foundation on prevention, public awareness and input into the way forward. The way forward is being covered in this motion, which has been tabled by the members of the Technical Group. From having listened to various experts, including medical experts, and those who have had strokes, I note it is vital that there be immediate intervention. Those who have strokes and their carers must be able to gain access to a range of services in and after they leave hospital, including services such as physiotherapy, speech and language therapy, occupational therapy and nutritional services. The key, apart from speedy availability of services, is for the services to be community-based. I am told there are stroke survivors who do not have access to the rehabilitation services they need. This is not to take from the great work and services offered by various professionals, including medical, nursing and therapeutical professionals, to stroke survivors. They have allowed the victims to recover and resume their lives. In many cases, they live full lives after having a stroke. There is sadness among those who would not be so incapacitated had more services been available and had more been done. The frustration among those needlessly disabled by stroke over not being able to communicate, move freely or attend to their hygiene needs and the feeling of being a burden on their loved ones are compounded by the realisation that they would not be in such circumstances had they received a certain drug, physiotherapy, occupational therapy or speech therapy more quickly. The ESRI tells us the direct annual cost of stroke is up to €557 million, of which as much as €414 million is spent on nursing home care. Just €7 million is spent on community rehabilitation services that would keep Ireland’s stroke survivors, numbering approximately 50,000, largely at home. I acknowledge the plans to do this but it is a question of direct action. With regard to immediate intervention when someone suffers a stroke, stroke units and the thrombolytic clot-busting drug ought to be more widely available. This would reduce the number of deaths and the number who suffer from permanent severe disability by at least 750 per year. Economically, the saving through the reduced need for nursing home places would amount to some €230 million. We could imagine an injection of funding for the stroke units and the wider availability of the drug, and the effect on the number with permanent severe disability. It must be heartbreaking for those who were not able to avail of the drug, for whatever reason. It requires saying “stop” and not investing vast amounts in the one area. Instead, we must invest money where it can do the most to prevent the worsening of circumstances for stroke victims. We are told stroke is the biggest single cause of severe disability. Multiple sclerosis and motor neurone disease, which do so much damage in impairing one’s ability to function, have in common with stroke the fact that they rob the person of his or her dignity and make him or her dependent on others for practically everything. They erode one’s quality of life. Some 10,000 people will suffer from stroke in Ireland this year. It is Ireland’s third biggest killer, with some 2,000 lives lost every year. It is also the biggest case of acquired disability and there are horrific numbers of people living with disability as a result of stroke. In 2008, the Irish Heart Foundation undertook an audit which showed what people experienced after a stroke. Almost half had a weakness on one side of the body, 22% were unable to walk and one third had a cognitive impairment. More than half needed assistance with activities associated with normal daily life. Those are frightening statistics, particularly as some of that number need not be as disabled as they are had the necessary services been in place. Many people who suffer stroke also suffer from depression because of the frustration that stroke brings and the way in which people can be isolated because of suffering stroke. There is a need to prioritise what needs to be done, as well as creating a proper rehabilitation network with the necessary multidisciplinary supports in place. I support the Irish Heart Foundation’s call for stroke rehabilitation research to be conducted more regularly in order that health gains and economic savings can be made. Rehabilitation services, like services for those with mental health issues, need to be community based. Everyone who suffers stroke should have access as soon as possible to the appropriate service and the necessary specialised short-term and longer-term rehabilitation in hospital or in the community. Stroke survivors require different levels of therapy and support at various stages of their journey. In the immediate aftermath of the stroke, they need acute rehab in hospital and appropriate rehab in the community later. It is horrifying to learn that some stroke survivors in nursing homes often have no access to therapists. After 11 months in office, the new coalition Government is saying that great strides are being made and that care is being provided for stroke sufferers, but I can guarantee that right now, somewhere there are stroke victims who are not in receipt of those services or did not get the services they needed at the initial stages. When I spoke on the disability issue last week, I referred to the matter of access. I wanted to acknowledge the progress that has been made in providing better access to those with a disability, including stroke survivors. We know there have been improvements in venues such as cinemas and theatres. Local authorities have been proactive on this matter but there is a need for a speedier resolution when someone suffers a stroke and their mobility is severely impaired, particularly if they live in local authority houses of flats without proper access. The 2008 national audit makes for grim reading in stating that acute rehab was only available for one in four patients or was delayed to a point at which it was not as effective as it could have been if it had been made available sooner. Continuing care and long-term recovery programmes were haphazardly organised. In addition, so much in terms of care and delivery depended on location, chance and circumstances which meant avoidable and unduly prolonged disability. That was in 2008, but a new audit is needed now because ongoing auditing could identify the scale of the deficit, identify the gaps and set about narrowing them. Everyone agrees that community rehabilitation would improve the outcomes for survivors and, in purely economic terms, would reduce the financial implications for the State. We know what is needed: supported discharge, community rehab and home care supports, as well as access to required services, including occupational therapy, physio, speech and language. Those elements would increase the survivors’ ability to live independently. They would also reduce the number of stroke patients in nursing homes, which can only have a positive effect on their quality of life. I have examined what is happening in Britain where, up to three years ago, there was a lot of anger at the poor level of services there. Up to then, stroke survivors described it as falling into a black hole between hospital discharge and community-based care. In Britain now, stroke has a higher priority in the health service than ever before. One stroke prevention and action project in Hull provided intensive support to assist people in making the lifestyle changes necessary to reduce the risk of further stroke. That involved one-to-one sessions in people’s homes, including looking at risk factors, going into the necessary lifestyle changes such as giving up smoking, and eating more healthily. That personal focus on people’s individual lives had a very beneficial effect. The Hull project also featured a weekly healthy lifestyle course which examined how even small changes can make a difference. Another aspect was prompt treatment for people with minor stroke or TIA, which reduced the risk of a major stroke. Various studies in Britain and elsewhere abroad have recommended specialist assessment within 24 hours for TIA patients at high risk of a major stroke. All such studies say that being seen promptly means patients are more motivated to make the lifestyle changes that could cut the risk of a further stroke. Another study in Britain completely reorganised stroke services at one London hospital, which saved lives. It improved outcomes within that hospital where strong links were developed between clinical staff and the stroke research team. It showed that when research is undertaken, the units carrying it out have better patient outcomes. A hospital in Wales created a stroke unit from scratch and the only extra funding required was to create the post of a specialist stroke nurse. Everything else came from reorganising the existing services. There was better teamwork between accident and emergency, hospital management, consultant physicians and the ambulance crew. The unit also included a fast-tracking system within the hospital. Another hospital developed an information strategy to ensure people with stroke, and their carers, got the information they needed. They produced a handbook entitled Living With Stroke. Communications support groups were set up, particularly for young people. The public perception is that stroke only afflicts older people, while one quarter of all strokes in Britain, for example, happen to younger people. In Britain, there is a dedicated helpline for those who suspect they are having a stroke or someone they know is having a stroke. The helpline helps them to identify factors such as facial weakness, arm weakness and speech problems. We should try to imagine an ambulance being called for someone who has collapsed. The ideal scenario is to go straight to a hospital where there is acute care for people with stroke. Within an hour they should have received clot-busting treatment and will go on to make a full recovery with additional services. However, such a person could sit in accident and emergency for hours until it is too late and so they are left with complex disabilities. The moral of the story is to go straight to the treatment that is most appropriate to ensure a speedy recovery. One cannot discuss stroke without examining smoking and the role tobacco plays in the ill health of the nation. As the Irish Cancer Society tells us, tobacco is the single largest cause of preventable death and disease in Ireland today. It kills one half of all lifetime users, causes one in three cancers and contributes to stroke. In addition, it costs the State €2 billion a year to provide services for smokers. We have a new experience this evening of debating an agreed motion. I hope it will be a positive step because I do not see why Private Members’ business should have to be a them-or-us situation. Real reform should bring about an honest and frank debate whenever Private Members’ business arises. I would also like to see such debates being accompanied by a free vote. I do not want to appear cynical but we do wonder what the level of interest in the debate will be tomorrow night when there is the prospect that there might not be a vote at 9 p.m. It is to be hoped this topic, which touches so many people, will generate a high level of interest. It is important to work on a collaborative basis. Just because one moves to the other side of the House does not mean that all knowledge and expertise is on the Government benches. There is still some expertise on the Opposition benches, as the Minister for Health would have discovered when he was an Opposition Deputy in the previous Dáil. The motion notes the “increase in the number of stroke units” and “that over 90% of all admitting hospitals will have effective stroke units”. In addition, the motion refers to tackling “the risk factors for cardiovascular and chronic conditions”, “front-loading investment in stroke prevention and rehabilitation services” and developing “an implementation plan”. It also mentions the development of “a multi-disciplinary rehabilitation network”, “community rehabilitation and an aspiration towards independent living”, as well as committing “the Government to investing significantly in stroke services”. It is said that the proof of the pudding is in the eating. We agree with all of the aforementioned plans but we will have to see what happens. We know what is needed to bring about success, which is co-ordination between hospitals, clinics, professionals, local organisations, patients and their loved ones. Services should be provided at the point of most need and should continue to be provided for people, preferably within their community. Deputy Simon Coveney: There are no accurate statistics available on the current badger population in Ireland. However, based on the results of the four-area project, the best estimate available to my Department is that there are approximately 80,000 to 90,000 badgers in the country. There is considerable peer-reviewed research showing that the removal of badgers results in a reduction in the incidence of tuberculosis in cattle. In Ireland the first major research project took place in east Offaly between 1989 and 1995. This study demonstrated that, following the removal of badgers, the risk of herd breakdowns in the removal area was significantly reduced, the risk of a TB breakdown in a herd being 14 times higher in the control area compared with the removal area. The next significant study, known as the four-area project, was conducted from 1997 to 2002 in four different areas of the country. This project demonstrated that the total number of herd restrictions in the removal areas during the study period was almost 60% lower than in the pre-study period. A further study showed that targeted badger removal in County Laois between 1989 and 2005 had a significant beneficial impact on the risk of future breakdowns. The United Kingdom has also conducted significant research into the role of badgers in the spread of TB and the impact of the removal of badgers on the incidence of TB in cattle. The most recent research was conducted by the Independent Scientific Group, which directed the randomised badger culling trial, RCBT. The initial findings of the trial showed a 19% reduction in the incidence of TB in cattle in the removal areas but a 29% increase in the areas surrounding the removal area. However, the effects of the cull continued to be monitored after the cessation of culling and a recent report by the British Department for Environment, Food and Rural Affairs, DEFRA, concluded that, overall, from the beginning of the cull, there was a 28% reduction in confirmed incidences of TB in the cattle herd in the culled areas when compared with the survey-only areas. In addition, confirmed TB herd incidence on the land 2 km outside the culling area was comparable with that in the survey-only areas. I am satisfied that the badger culling strategy, which is an important element of my Department’s bovine TB eradication programme, has contributed to a significant reduction in the incidence of bovine tuberculosis here. Since 2000 the number of reactors has declined from 40,000 to 18,500, the lowest recorded since the commencement of the eradication programme in the 1950s. It is interesting to note that the incidence of TB in Britain, which does not implement a badger removal programme, has increased substantially from 6,000 reactors in 1999 to 33,000 in 2010. I understand, however, that DEFRA intends to implement a pilot badger cull in the autumn. My Department intends, in the coming years, gradually to replace badger culling with badger vaccination and, with this in mind, we have been funding research in UCD and collaborating with DEFRA on research into a vaccine to control tuberculosis in badgers. Research to date has demonstrated that oral vaccination of badgers in a captive environment with the BCG vaccine generates high levels of protective immunity against challenge with bovine TB. However, field trials are also being undertaken to assess the impact of the vaccine on the incidence of disease in field conditions. If these trials are successful, badger vaccination will be incorporated into the eradication programme. However, it will be some years before the trials are completed and targeted badger removals will continue in the medium term. While no one likes badger culling, we have a responsibility to protect our beef herds, in particular, and our dairy herds. We have historically had a problem with TB. We are making phenomenal progress in reducing the incidence of TB, as reflected in the figures provider earlier. We now have a lower level of TB in Ireland than at any time since the 1950s. The targeted badger culling programme has played a significant and positive role in this. Badger culling only takes places in areas where it is perceived that there is a problem. It is estimated that there are between 80,000 and 90,000 badgers in the country. Deputy Maureen O’Sullivan: I thank the Minister for his reply. I acknowledge the problem of bovine TB and do not want to take from that particularly serious issue for Irish farming. However, there is a divergence between the research mentioned by the Minister and research which I received from the Irish Wildlife Trust, namely, independent peer reviewed scientific research which shows that culling of badgers has little or no effect on the eradication of TB and that it increased infection levels. It also states that even if all badgers were removed the same levels of TB would remain. Is it true that 75 staff are engaged in work on badger culling? Also, is a review of this practice due in the coming months? Deputy Simon Coveney: It is probably appropriate to compare two different strategies, namely, what is happening in Ireland in terms of TB and what is happening in the UK. The UK has tried to treat badgers for TB rather than cull them. In Great Britain, which does not implement the badger removal programme, incidences of TB have increased substantially from 6,000 reactors in 1999 to 33,000 in 2010. I am not suggesting this is purely because of badgers but there are many studies to show that badgers are a major contributory factor in the spread of TB. I will continue to review our TB eradication programme. However, what we are currently doing is working. It is hoped we will reach a point whereby TB will be entirely eradicated from herds in Ireland, at which time - perhaps long before then - our approach towards badger removal will be reviewed. Deputy Maureen O’Sullivan:The use of the snare involves extended periods of suffering for badgers, leaving the young unattended. I do not understand how we, as a humane country, can justify the use of such a cruel instrument. A recent newspaper article reported that people engaged in badger baiting in the North of Ireland http://www.irelandswildlife.com/2012/02/badger-baiting-arrests-in-northern-ireland-as-authorities-clamp-down/ had been arrested. We need to ensure much more humane treatment of animals. The Minister and I will have to agree to disagree about whether badger culling is effective in eradicating TB. Deputy Simon Coveney: I agree with the Deputy on the boarder issue of badger baiting and the need for a new approach towards animal welfare. I will soon publish a new animal welfare Bill. I know the Deputy’s concern in this matter is genuine and hope she will participate in the debate on the forthcoming Bill. I have strong views on animal welfare, which will be evident from the new animal welfare Bill. The Deputy and I might perhaps have a more detailed debate on the boarder issues of animal welfare during debate on that Bill. _People with disabilities face additional challenges in their lives. Those challenges extend to their families and loved ones. We are contemplating a range of disabilities which include the physical, mental, intellectual, environmental, social and medical. Disability is an umbrella term for impairments, activity limitations and participation restrictions. I agree with Deputy Harris that sometimes when we use terms, they become labels and we then lose sight of the people behind them. We must stress that it is the person at whom we are looking rather than his or her disability. In our civilised, humane society we can rise to meet the challenges to which I refer in order that no one with a disability will be precluded from taking a full and active role in that society. I accept that we must strike a balance in the context of the reality that exists and adopt a common-sense approach. Reference was made to those environmental barriers which hinder full and effective participation in society. In fairness, great efforts have been made to make transport and venues such as cinemas, theatres and heritage sites more accessible to those with disabilities. The Dáil has also been reasonably proactive in the context of providing access. Former Deputy Seán Connick had a great deal to do with making the House much more disability friendly. The legislation in this area, namely, the Disability Act 2005, the Citizens Information Act 2007, the Education for Persons with Special Educational Needs Act 2004 and the Towards 2016 strategy try to bring together aspects of the national disability strategy. I accept that there are sectoral plans in this regard which were reviewed in December 2009 but there is not enough publicity or public awareness in respect of this entire area. It appears that the most recent meeting of the stakeholder monitoring group - about which I have heard a great deal - occurred on 18 October 2010. While there has been a change of Government, the issue has not changed. One is obliged to wonder, therefore, how long it takes to deal with matters of this nature. The Minister of State established a new implementation group to deal with the national disability strategy. I welcome the additions to the membership of that group, particularly because individuals sometimes get lost within the overall entity that is the service provider. We must remember that implementation can be extremely slow and that matters can be delayed by bureaucracy. The Minister of State has included representation from local authorities on the implementation group to which I refer. There is a real need to speed up the process relating to people who acquire disabilities after they acquire local authority housing. I refer, for example, to those who suffer strokes, have accidents or, as is the case with some individuals in my constituency, are obliged to have limbs amputated. These people live in local authority housing, their bathroom facilities might be located on the second or third floor and their stairways may be too narrow to accommodate chair lifts. I know individuals in situations such as that which I have just outlined who have been left waiting for far too long for assistance. As already stated, the process must be speeded up and to a considerable degree. I wish to place on record the phenomenal work being done by those at St. Michael’s House in providing services to people with intellectual disabilities. Despite the moratorium on recruitment, the budget cuts and the reduction in staff numbers - all of which have had a considerable impact - those at St. Michael’s House have continued to expand and develop the services provided there. The staff to whom I refer are coping with an increase in the number of people who use their day services and who receive residential services. Enormous credit is due to the staff at this facility in respect of the way in which they continue to deliver high-quality services. The most significant challenge which the staff must face up to relates to the fact that St. Michael’s has the largest waiting list for residential care in the country. The statistic they provided with regard to the number of parents who have sons and daughters with intellectual disabilities who live at home is frightening. Some 240 of the parents in question are over 70 years of age. The staff at St. Michael’s recognise that more than half of these 240 individuals are encountering serious difficulties. Those who run St. Michael’s have been phenomenal with regard to the way in which they have managed the cuts to date and in the context of how they continue to respond to the increased demand. The area of mental health is referred to as the Cinderella of the health service. Within that, however, there is another Cinderella which is the area of intellectual disability. There are three specific matters to which I wish to refer. The first of these relates to the thalidomide survivors. These are people who, through no fault of their own, were left with disabilities. Discussions have taken place with successive Governments in respect of this matter. It is time to stop talking and to give serious consideration to what these people are seeking and what they require in order that their needs will be met in an appropriate fashion. The second matter relates to a forgotten category of people, namely, post-polio survivors, some of whom I have met. Great strides were made in this country in the context of the elimination of polio. However, the members of the group to which I refer are all much older individuals. There is limited funding available for the Post Polio Support Group Ireland, which is doing great work. The third matter relates to St. Joseph’s School for the Visually Impaired, which is not located in my constituency but with which I am familiar. Some of the visually impaired children who attend this school have multiple disabilities. The school already has the necessary facilities and staff available to it. All that it requires is a minuscule amount of funding to develop a centre of excellence for young people with multiple disabilities. We are aware that there is a link between disability and inequality and that the former disproportionately affects poorer people. The risk of inequality increases significantly when disability occurs in Third World countries. _My involvement with community employment schemes extends back as far as the AnCo days, which pre-date FÁS. Consequently, I am familiar with the valuable work done by such schemes for and within the communities, as well as for the participants. Part of my experience has been with highly disadvantaged and long-term unemployed people in the north inner city. The schemes there gave the participants the opportunities to progress into the workplace and even into further training and education. Community employment schemes supply an array of services to communities and I refer to an internal report of the Department of Public Expenditure and Reform on child care and after-school schemes, which stated such schemes do not help people to get a job. I disagree because these schemes have given the parents of those children the opportunity to avail of schemes. In addition, one must recognise that certain schemes are mainly social in nature and are for extremely marginalised and vulnerable people. They provide such people with a focus for each day and what they do is invaluable in respect of enhancing confidence and self-esteem, as well as in providing courses on parenting skills, nutrition and health. As for drug rehabilitation programmes, I acknowledge the recent positive response from the Minister of State, Deputy Shortall, about the ring-fenced places in this regard. Participants in such schemes have a history of little formal education, very low literacy and numeracy, mental health issues and general poor health. In addition, some have criminal records and extremely difficult family circumstances. They have been supported through the schemes, which have done monumental work. Some of those schemes had participants who were highly medicated when they joined the schemes but who now are drug-free, which is something on which the Minister of State, Deputy Shortall, is very keen. I know many of those involved and have attended such programmes where one can see men and women, boys and girls with their lives back. They do not cost the State what they would cost, were they still in addition or within the criminal justice system. They have gone on to employment, further education and act as support and as mentors for those struggling with their addictions. The cuts will disproportionately affect certain people. While reviews are welcome, the manner in which this was announced was most unfortunate. It was followed by confused and contradictory messages and cuts were implemented while the review was going on. Finally, the review cannot be an exercise in filling in a form about expenditure. There is a different kind of review and a different balance sheet, which is about life and the effect on life. These schemes have let people back into society to become productive members of, and contributors to, community life and many of them have regained their families in the process. Moreover, they have not burdened this country in the way the faceless financial gangsters have. Deputy Alan Shatter: As the Deputy will be aware, the biggest volume of crime in Ireland is tried in the local District Courts which are established pursuant to the Constitution as courts of local and limited jurisdiction. Some jurisdictions also have developed what are sometimes referred to as problem solving courts. Models include community courts, drug courts and restorative programmes. These can vary in character but generally incorporate a combination of sanction for the crime, assistance in rehabilitation and reparation to either the victim or the community in which the offence took place. Some years ago the National Crime Council published a report entitled, Problem Solving Justice, the Case for Community Courts in Ireland. The report examined the position in the United States and the United Kingdom to ascertain how such courts worked in practice and made recommendations for the establishment of a court on a pilot basis. These recommendations have not been implemented to date and, as the Deputy is aware, are potentially resource-intensive. There are, however, a number of restorative justice options in operation, including two structural projects based in Nenagh and Tallaght that represent problem solving approaches. Community courts also share many of the characteristics of the Dublin Drug Treatment Court which has operated in the north city centre area for some years and was expanded significantly in 2011. I am considering the possibility of its further expansion. There are a number of non-custodial sentencing options available to the courts, including suspended sentences, community service orders, fines, compensation orders and probation orders. I am informed the number of community service orders increased by almost 40% in 2011 compared with 2010, with 537 orders being made in the final quarter of 2011 following the commencement on 1 October last of the Criminal Justice (Amendment) Act 2011 which introduced a requirement for judges, when considering the imposition of a sentence of 12 months or less, to first consider the alternative sanction of community service. As the Deputy is aware, community service generally is carried out in the local community, of benefit to that community and costs taxpayers a good deal less than a term of imprisonment. While the scale of restorative justice initiatives in Ireland is modest, this must be viewed in the context of Ireland’s very small prison population. It is worth noting that, according to the Courts Service annual report for 2010, just under 5% of offences heard in the District Court resulted in terms of imprisonment. In my address last year to the Irish Penal Reform Trust I outlined my commitment to developing workable alternatives to custody which promoted a balanced but targeted rehabilitation of offenders. Since coming to office, I have prioritised a number of relevant initiatives, including the development of a national anti-crime strategy that is at the last stage of preparation in my Department. In addition, a number of key recommendations contained in the Thornton Hall review group report that I published last July are receiving priority attention in my Department, most notably the introduction of an incentivised scheme for early temporary release, under which offenders who posed no threat to the community would be offered early temporary release in return for supervised community service. A further recommendation was the establishment of a strategic review of penal policy which would incorporate an examination and analysis of all aspects of penal policy, including prevention, sentencing policies and alternatives to custody. I intend to establish a working group to further this work in the near future. Work is ongoing to ensure full implementation of the Fines Act 2010. As the Deputy acknowledges, the introduction of community courts has resource implications, mainly in respect of the intensive multidisciplinary team required by such a court. In the context of the other related developments I have mentioned, I have no plans to choose community courts. It is, however, an option I will keep under review. Deputy Maureen O’Sullivan: Dublin Central has both prisons and prisoners. There is a disproportionate number of people in prison who come from certain areas in the constituency. I accept what the Minister stated in respect of community service, etc., but a community court could play a particular role. I acknowledge the work of the National Crime Council and the Dublin City Business Association in respect of the process relating to that report. Would it not be possible to try to establish a community court on a pilot basis within existing resources? Let us face it, the current system is not working. As one judge stated, the same people are continually being recycled through the system. Would it not be possible to use existing resources to set up a community court which could be located in the inner city, perhaps adjacent to Store Street or Pearse Street, where there are high levels of particular types of crime? Deputy Alan Shatter: As the Deputy is aware, crime levels in particular areas are influenced by a range of issues and a community court would not provide a panacea in the context of dealing with the various difficulties which exist in such areas. We are engaged in a number of different pilot schemes. I share the Deputy’s view that too many people currently within our prisons are serving very short sentences. These individuals pose no risk to the community and would be better dealt with through the community service order system. That is why we introduced the legislation that was enacted last July. Those to whom I refer could be assisted through the restorative justice schemes. There is a need for in-built programmes to deal with both drug and alcohol abuse. There is no point in individuals serving a few short weeks in jail and then returning to the outside world with the addictions which led them to become involved in criminality in the first instance. As the Deputy may be aware, in the address I delivered to the Irish Penal Reform Trust last year I made a commitment to develop workable alternatives to custody which promote a balanced but targeted rehabilitation of offenders. Since coming to office I have prioritised a number of initiatives, including the development of a national anti-crime strategy, which is currently at an advanced stage. The Deputy may also be aware that we are operating a pilot scheme to which I referred previously in the House, whereby prisoners who are serving sentences within the prison system, who are of good behaviour and who pose no risk to the community but who have not yet reached the stage where they are eligible for remission may be released subject to their signing an agreement and condition that they do community service. I am advised that this scheme is working well. I hope we will have an opportunity to extend it in the future. Deputy Maureen O’Sullivan: I welcome everything the Minister said and I am personally committed to the notion of restorative justice because there are some very good examples of where this works. However, I remain of the view that there is a role for community courts and the judges who would operate them. Such courts have very direct connections with the communities in which they are located. It is, after all, certain communities in particular areas which are plagued by what is termed low level crime, although that is not how those who live in such communities would categorise it, especially as their lives are being disturbed. To give offenders the opportunity to make amends to communities is the best way to put an end to the revolving door system. Deputy Alan Shatter: The best way for an offender to make amends to a community is through community service. The Probation Service is involved in extensive engagement in this area. The effect of the community service orders legislation was evident in the final quarter of 2011 when it became apparent that there had been a substantial increase in the making of community service orders. I welcome the latter development. It will be interesting to see what will be the pattern for 2012 in its entirety. I expect there will be a similar increase as the courts become used to the new legal arrangements that are in place. The establishment of a new community court, even on a pilot basis, would require additional resources. I am operating a Department which has €100 million less available to it for 2012. For a community court to operate successfully, there would be a need for multidisciplinary staff with particular expertise to be employed because it would otherwise be a community court in name only. Unfortunately, I do not currently possess the resources to allow me to employ additional people in that context. _Like Deputy Buttimer, I think home ownership is linked to our history. We can go back to the landless tenants dispossessed during plantations and at the mercy of unscrupulous landlords. The 19th century saw the land campaigns for the three F’s that are still relevant today, fair rent, free sale and fixity of tenure. This led to the Land Acts, whereby tenants could buy their holdings. I can understand why the tradition of people buying their homes has developed from our history, unlike another countries where the tradition is to rent. In the 20th century, there was a tradition of saving in order to buy a house. People had to save significant deposits and banks put difficulties in front of people before they bought houses. Maybe it was better advice at the time. We are now in a different situation. We can see a variety of circumstances that led to this. There was massive building of apartments and houses during the so-called Celtic tiger. Some of them were totally unsuitable, of which Priory Hall is just one example. Banks threw money at people, offering 100% mortgages in many cases without taking into account the ability of the borrower to repay. The media fuelled the idea that people had to get into the property market or they would miss it completely. The result is that people have impossible mortgages. Deputy Donnelly has done a great service to the ordinary individual, who sometimes gets lost in the legalese. The Bill is based on common sense, which we do not see enough of here, and I hope it prevails. What does repossession achieve? Every effort must be made to prevent it. Judges must be able to take matters into account when making decisions on repossession. Figures of one in 12 are startling, although that indicates that many are not in arrears. The difficulty is that the number is likely to increase. In the past number of days we talked about health and the Independent group tabled a motion on mental health. We know the effect of repossession and difficulties with mortgages on people and families. Parents will try to protect children but children pick up on difficulties at home. Schools see the effect of difficulties paying bills and mortgages on young people. If repossessions continue, they will have a negative impact on the capitalisation levels of the so-called pillar banks, as pointed out by Deputy Donnelly. He also referred to the constitutional aspect and I cannot understand why the Minister believes there are constitutional difficulties. Surely the Constitution is there to protect the person, not the other way around. There is a responsibility on the borrower to repay what he or she has borrowed. People ask why we should help those who took out money irresponsibly but there were extenuating circumstances. Many took out a mortgage on the basis of the job they had and, through no fault of their own, they lost the job and the ability to repay the mortgage. Deputy Donnelly is addressing that situation in this Bill in giving judges more discretion than they had to date. I acknowledge the work of New Beginning, which has been very practical and has been to the fore in helping people in a real way. Returning to history, de Valera stopped paying the land annuities. The money did not return to the people but perhaps there is a message for us in that. New Beginning made the point about the Bank of Scotland, which was here in the good times and made loans available. As the song says, when the going got tough, it hightailed it out of here. Where is our responsibility to Bank of Scotland? It did not set the best example for other banks. What is the point of Friday sittings if anything suggested on this side of the House is automatically turned down by the Government? On issues that are so real and relevant to people, there should be a collaborative effort rather than an automatic proposition and opposition. _The risk assessment and impact study should have been carried out before the event and not afterwards. This year presents a major challenge for the HSE in that it must do more with less. There is a massive budget, however, and if it were spent in the most productive way, it would surely produce a high-quality and proper health care system. The plan states “Designing and delivering services, to ensure high quality safe services for all our patients and clients, is our primary concern”. Central to this is the dignity of the person, irrespective of whether he has a mental illness, disability or physical illness. Some time ago, the Technical Group sponsored a motion on mental health during Private Members’ business. It was one of the most moving debates in my short time here, three years. 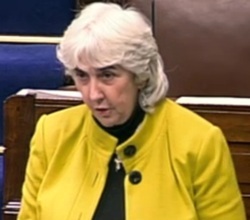 The Minister of State, Deputy Kathleen Lynch, was present and contributed to the debate. It demonstrated that mental illness has touched so many people. We are told one in four will be affected, yet the HSE’s budget in this area is only 5.3% of its overall budget. While I know the Minister of State is doing her best, the figure is very low. We cannot talk about this topic without mentioning Mr. John McCarthy, who passed away recently in Cork. He had mental health issues. At the core of everything he did was an emphasis on the dignity and rights of those suffering from mental illness. He was a phenomenal and tireless campaigner in highlighting the normalcy of madness. Members will know about Mad Pride Ireland. I hope that, in memory of Mr. McCarthy, we will get rid of the involuntary use of ECT. The plan states 414 extra posts will be funded from the €33 million. With so many leaving the health service, will the new staff be replacing those who leave or will they be additional staff? If so that is to be welcomed. I acknowledge the positive incentives, the multidisciplinary mental health service teams, the child and adolescent community teams, the inpatient units and the ensuring of access to quality psychotherapy and counselling services. People need these and they should not cost a fortune. Deputy Catherine Murphy referred to suicide prevention. I mentioned previously Oasis Counselling Centre in my constituency, which centre is part of the Deora project. It is a small well-managed project and allows for direct access for those in difficulty, particularly those presenting with suicidal tendencies and addictions. Many counselling services will not take on people who are suicidal if they are also experiencing addiction. Another example of best practice is St. Michael’s House. It deals with very vulnerable people. It has a well-focused budget that is not wasted on administrative expenditure. Sometimes the micro can inform the macro, rather than the other way around. The staff losses in the public sector will present a major challenge. The Taoiseach referred this morning to personal choice but this choice was encouraged by financial incentives, resulting in the loss of much expertise and knowledge. Those with knowledge and experience should have been incentivised to stay. The scheme ought to have been phased rather than establishing a specific date in February. The risk assessment and impact study should have been carried out before the event and not afterwards. A voluntary group to which I belong asked us before the budget to examine the consequences of cuts of 5%, 10% and 15%. We had the answers on how to cope with each of these. Delivering a high-quality service depends on having a high-quality staff. The plan refers to “new models of care” as a means of obtaining more from the reduced budgets, but there is detail missing in this regard. I very much welcome the dedicated subhead in the Estimate pertaining to children and families. The funding for prevention is vital. It was interesting to read the section on promoting and protecting health. This relates to health inequality. There is a clear link between socioeconomic status and health behaviour. Emphasis must be placed on prevention. The longer young people stay in school, the better their health options. We must not cut education expenditure and preclude them from staying in school. The health responses to drugs and addiction have been generally included in the social inclusion and care group but they need to be identified clearly in respect of mental, primary and population health. This means the clear inclusion of alcohol in the national substance misuse strategy. The publication of that strategy is necessary because alcohol and other substances have a considerable impact right across the health service. A young man who was suicidal and had an addiction tragically committed suicide when, on becoming 18 years of age, he was transferred from an excellent youth service to an adult unit. The system has to work for the person, not the other way around. In my constituency, the fifth person in a family was buried yesterday as a result of drug addiction. These are the issues we have to tackle.